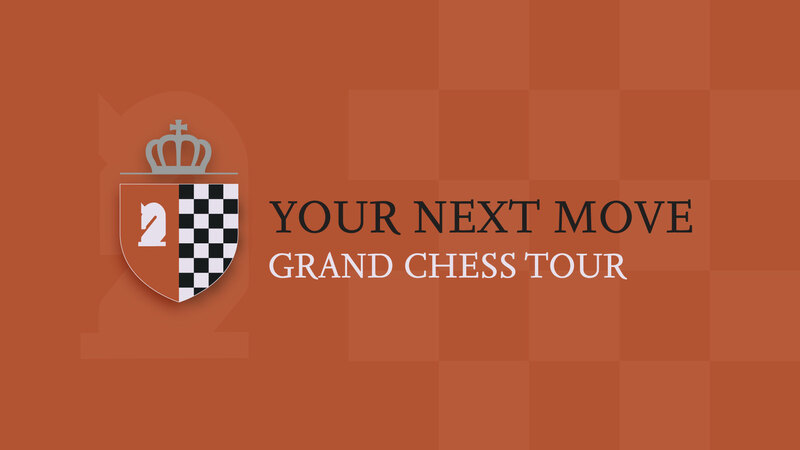 Live chess broadcast powered by ChessBomb! The Organiser reserves the right to make changes. 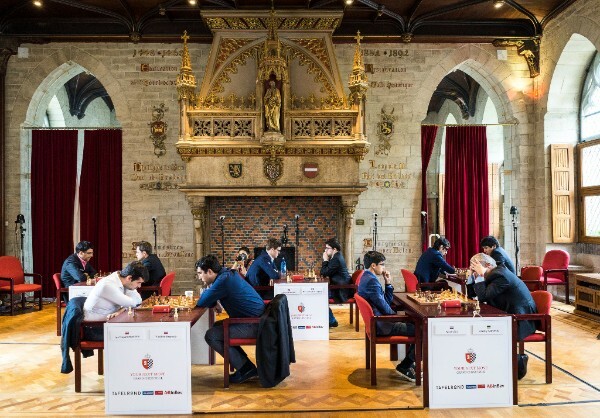 After the grueling first leg of the Grand Chess Tour in Paris, which concluded just two days ago, Magnus Carlsen, Maxime Vachier-Lagrave and Wesley So continued on to Leuven, Belgium to play in the second leg of the Grand Chess Tour. 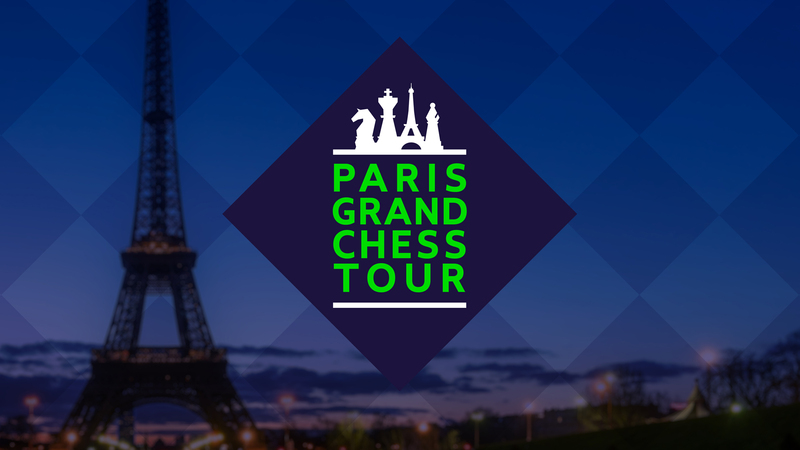 They are joined by Viswanathan Anand, Levon Aronian, Ian Nepomniachtchi who skipped Paris and are just starting the tour. 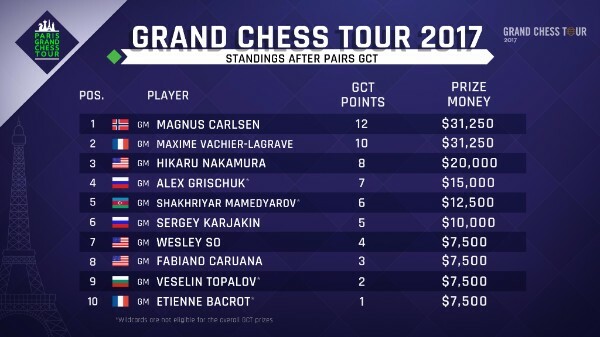 The event wildcards are Vladimir Kramnik, Anish Giri, Vassily Ivanchuk and Baadur Jobava, who are just fighting for prizes but not tour points. 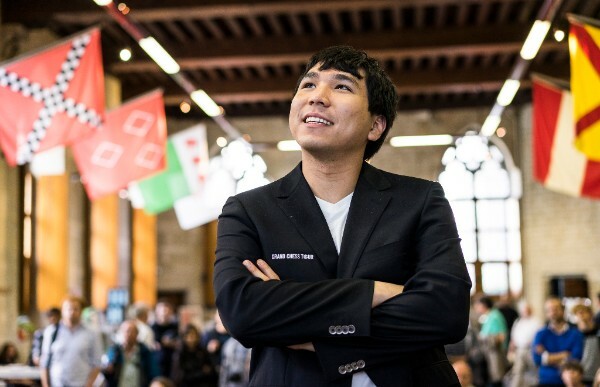 Wesley So, who had an atrocious showing in Paris, seems to have recovered finely as he is leading the event after defeating the World Champion. 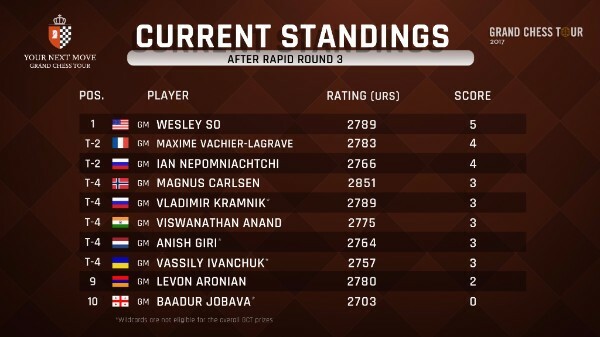 He is being trailed by Nepomniachtchi and Vachier-Lagrave, who are only a point behind. 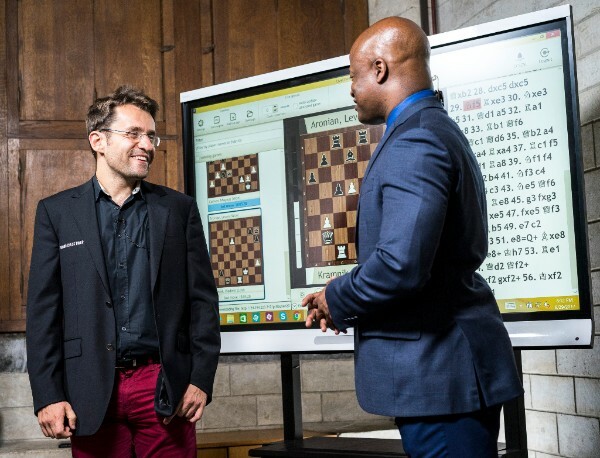 Carlsen had a complicated game against Aronian where he sacrificed a pawn to open up his pair of bishops that were aiming at his opponent’s king. The Armenian didn’t find the forcing draw and blundered instead, an opportunity that his opponent did not waste. Vachier-Lagrave was unsure about his opening but once he got the advantage, he converted without any trouble against Vassily Ivanchuk. 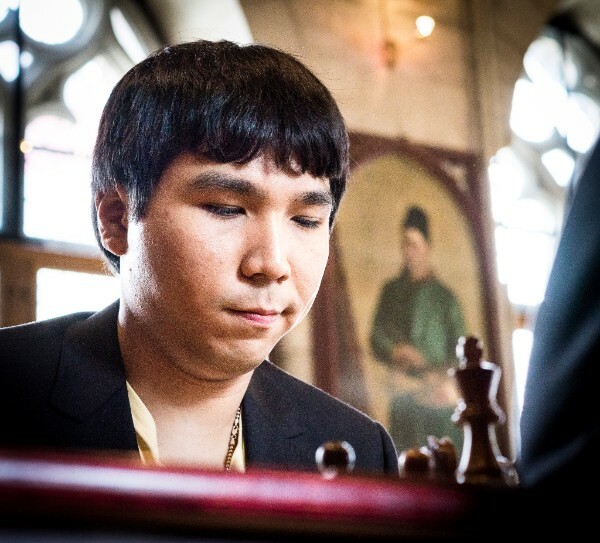 Wesley So started the event off strongly by defeating former World Champion Vladimir Kramnik. True to his style, Jobava played an unorthodox opening, but self-destructed after giving up a pawn for no compensation against Ian Nepomniachtchi. Giri vs Anand was a quiet affair, with neither side having any real chances. 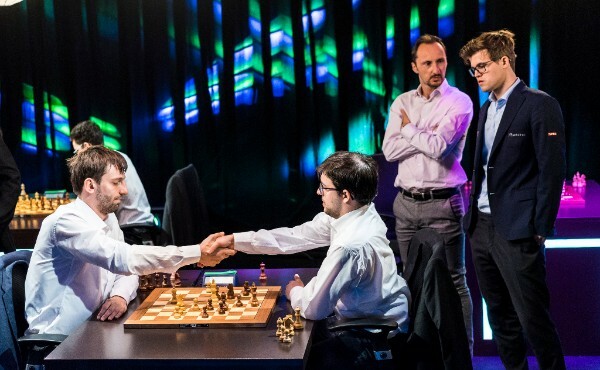 Carlsen played the aggressive Marshall Gambit against the World Rapid Champion but the game ended in a draw after Ivanchuk sacrificed his queen and forced a perpetual. 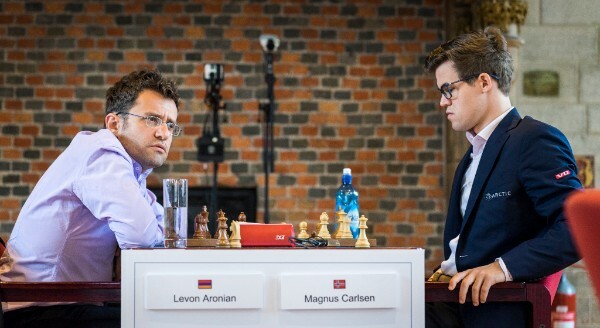 Levon Aronian bounced back from his first round loss by defeating Jobava who couldn’t fend off his opponent’s attack on his king. 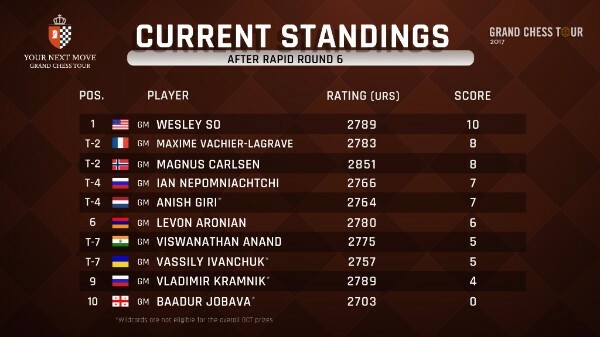 Ian Nepomniachtchi defeated Anish Giri in a messy game where he was even down two pawns at some point. Giri did not play the most natural moves and Nepomniachtchi joked that he at least thought he could threaten checkmate here and there. His approach paid off when Giri found his king exposed and under an unstoppable attack. In the clash of the titans, former World Champions Vladimir Kramnik and Viswanathan Anand essayed the classical Giuoco Piano opening. With his signature central pawn break, Kramnik got the advantage and converted easily. Vachier-Lagrave was down a pawn in a rook endgame against Wesley So, but defended without much trouble. There were quite a few unexpected results in this round. Vladimir Kramnik found several impressive tactics to obtain a winning position but for some inexplicable reason gave away one of the pawns shielding his king and walked into a perpetual. 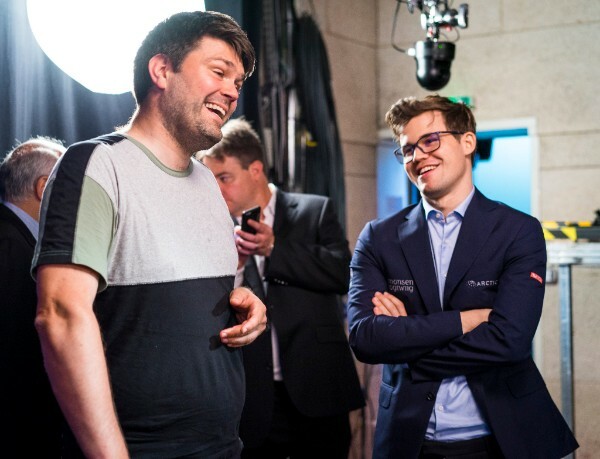 For a long time, Carlsen vs So was equal and was headed towards a peaceful result, but the World Champion decided to complicate the position. Unfortunately for him, he pressed too hard and was outplayed by his opponent. Historically, Carlsen has been a problematic opponent for So, hence this was a great confidence boost for the U.S. Champion. Anish Giri gave himself a birthday present when he finally got the opportunity to play the line that he had prepared since last year’s candidate’s tournament. Aronian played a principled line, but Giri’s analysis were concise, never giving his opponent a chance. Ian Nepomniachtchi stumbled for the first time today after playing too quickly at the critical points. His confidence made Anand question his decisions, but the objective evaluation of the position didn’t change the former World Champion won decisively. 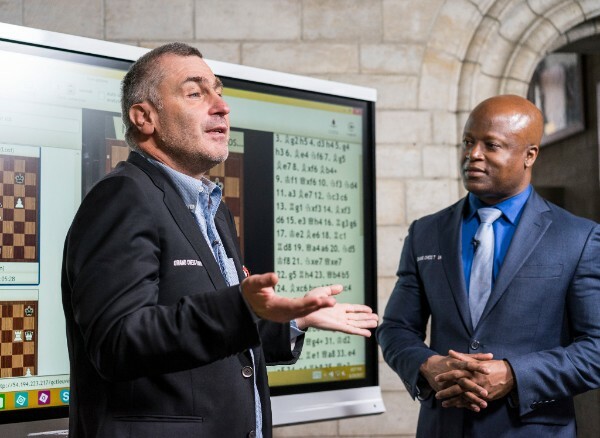 Jobava and Ivanchuk are both known for their unique and creative style, so it was no surprise that they would create chaos on the chessboard when they squared off. 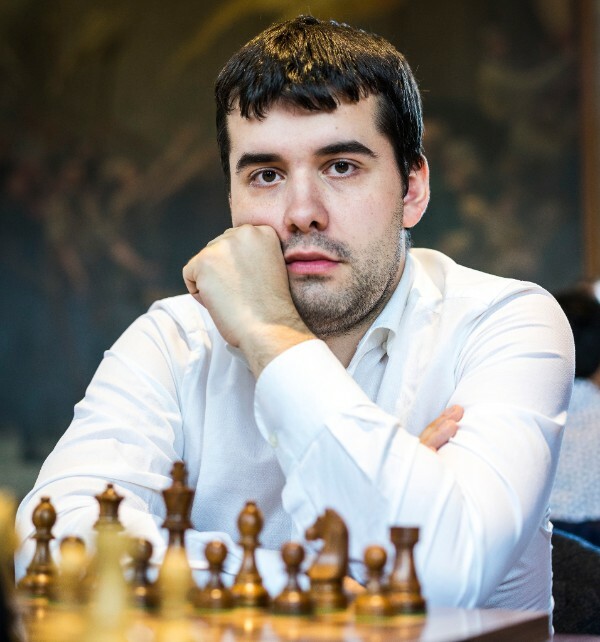 Jobava played very unnaturally to create an attack, even sacrificing a rook and a bishop to justify his moves but his play simply wasn’t justified. Ivanchuk defended easily and won with the extra material.